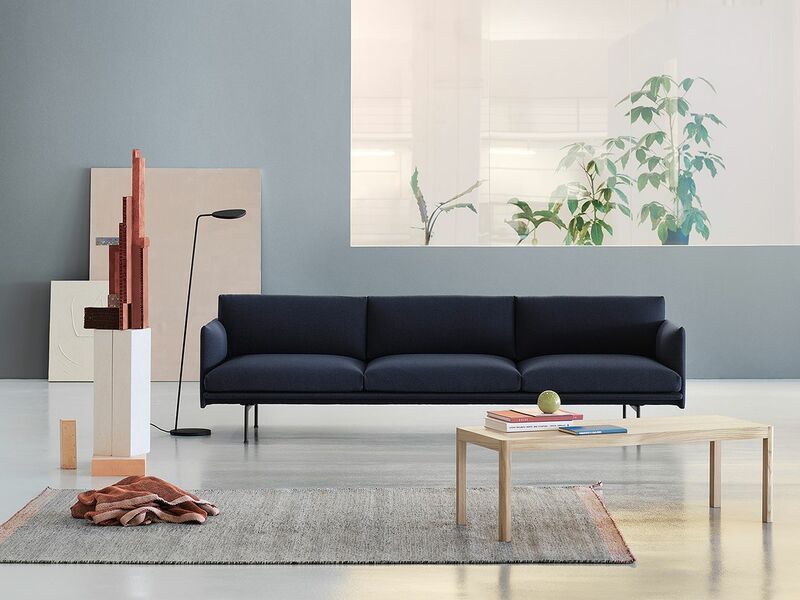 Muuto’s Outline and Rest sofa series bring new perspectives to the modern Scandinavian sofa. Here, we speak to their designers, Oslo-based duo Anderssen & Voll, whose pieces occasionally originate from divergence. Torbjørn Anderssen (on the left) and Espen Voll. 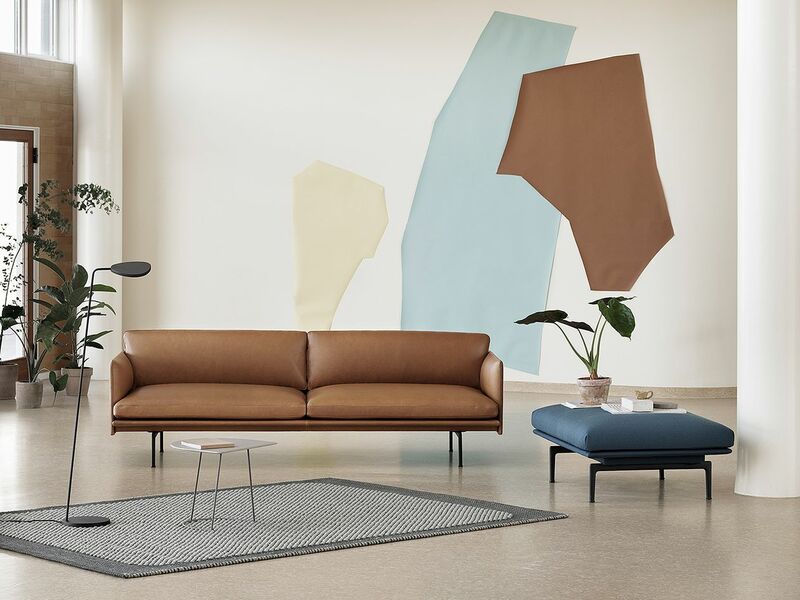 Rest sofa is produced by the Danish Muuto. 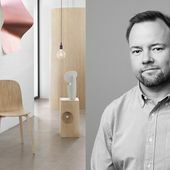 TORBJØRN ANDERSSEN AND ESPEN VOLL, better known as Anderssen & Voll, take a pragmatic approach to their designs. 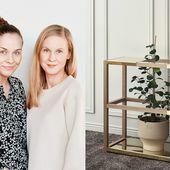 The Oslo-based duo want to create products that will last a lifetime in their function and aesthetic. 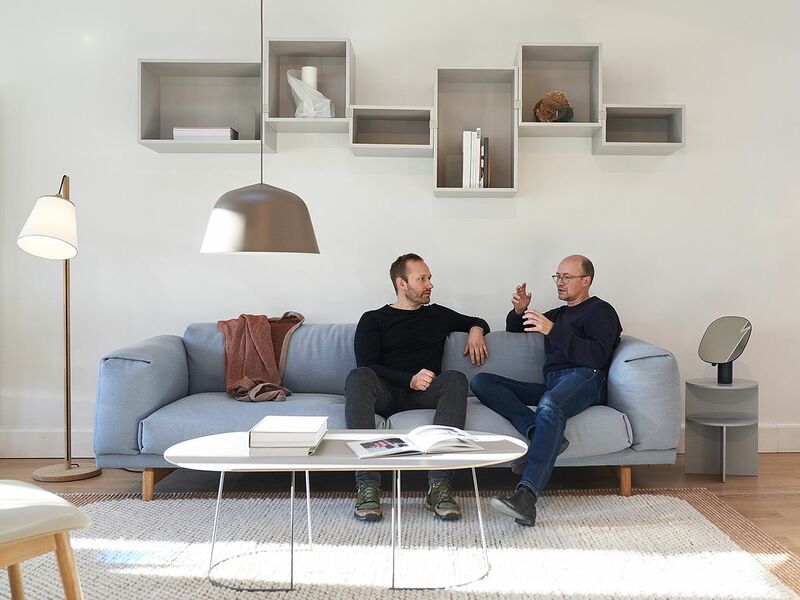 Here, they talk about their approach to design and their Outline and Rest sofa series for the Danish manufacturer Muuto. Three-seater Outline sofa has been upholstered in cognac brown Silk leather by Camo Leathers. The ottoman is from the same collection. What was your first encounter with design? What is it like to work and design as a duo? 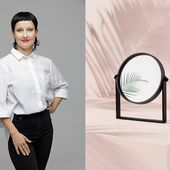 The duo has also designed Muuto’s mirror collection Framed, seen on the right. The 3,5-seater sofa from the Outline collection has been upholstered in Kvadrat’s Vidar fabric, colour 554. The visually lightweight and elegant Outline sofa is comfortable to sit on. The Outline collection also includes a corner sofa, lounge chair and highback sofa designed especially for public spaces. The sofa in the photo is upholstered in Vidar 472 fabric and available by special order. 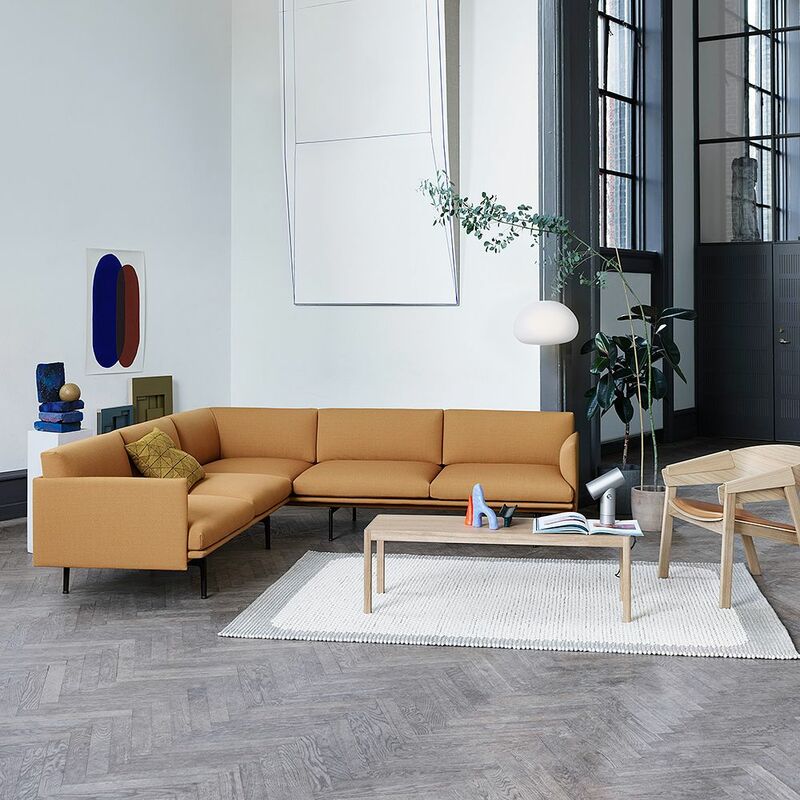 The Danish brand Muuto has five sofa series of your design. How did the collaboration with Muuto start? Torbjørn: “We’ve been working with Muuto since they were founded in 2006. In fact, we even worked with them before they had found a name for the brand. The process is one of continuous dialogue – sometimes Muuto ask us for specific designs or functions, and at other times, we approach Muuto with new ideas that are floating around in our studio. The Rest and Outline sofas for Muuto are two of your best-selling pieces. Could you say a bit more about the designs? 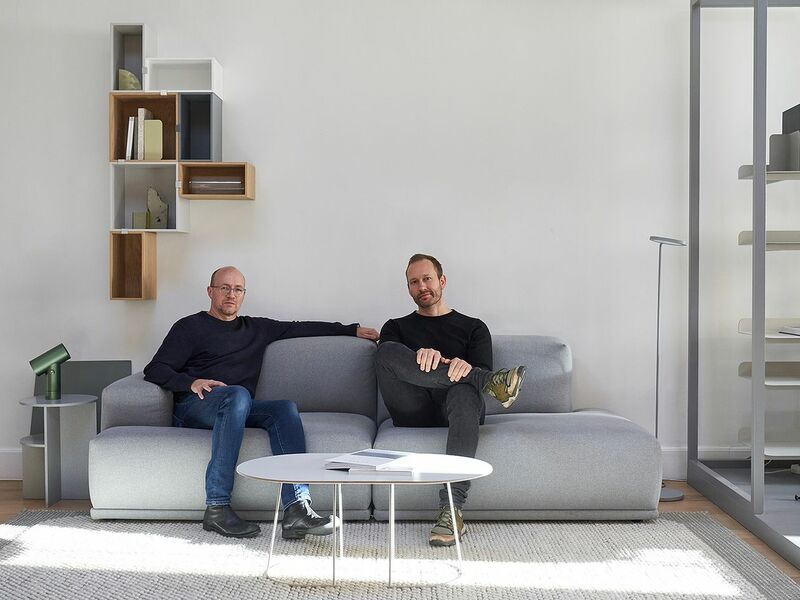 Espen: “Designing Outline was about finding the right proportions to create a sofa with a generous feeling, translated into a relatively compact footprint. The proportions of the design allow it to be easily scaled up and down across different sizes, so the Outline 2-seater and the smallest Studio version are as strong as the grand 3.5-seater sofa. The generous cushions of the Rest sofa invite you to sit and relax. 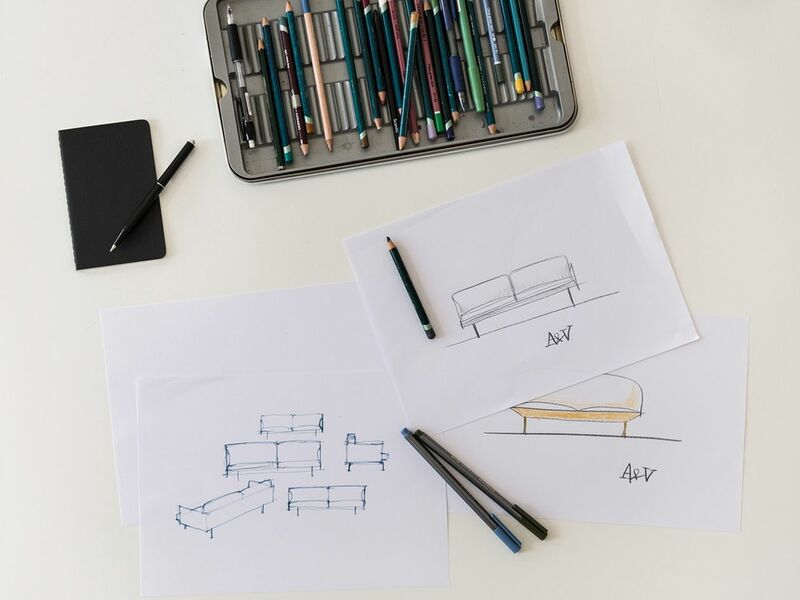 Sketches of the Outline and Oslo sofas. The three-seater Rest sofa has been upholstered in Kvadrat’s Steelcut Trio fabric, colour 713. What do your own homes look like? Why did you choose Oslo as your base? Lastly, what is your go-to tip for anyone coming to Oslo? 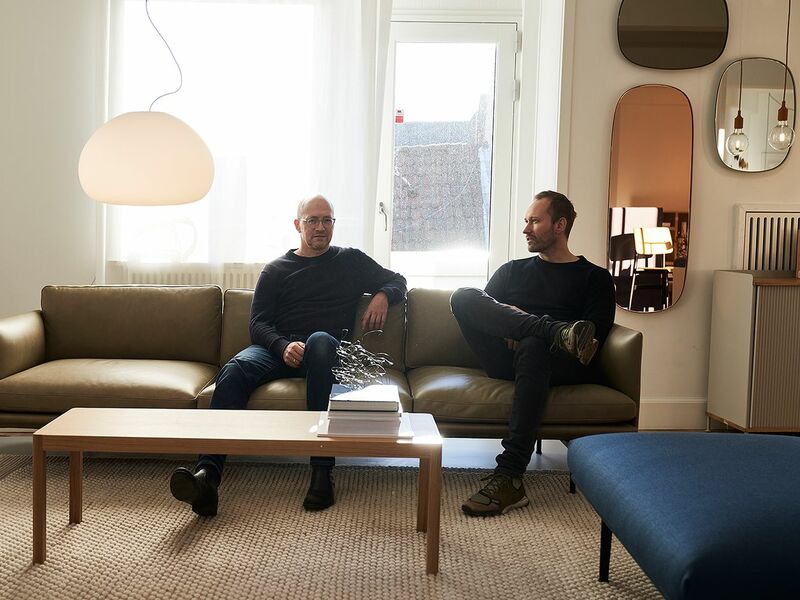 Espen Voll and Torbjørn Anderssen are among the most successful Norwegian designers. The modular Connect sofa is upholstered in grey Remix 123 fabric by Kvadrat. • Oslo-based design duo founded in 2009 by Torbjørn Anderssen (b. 1976) and Espen Voll (b. 1965). • Both have studied at the Oslo National Academy of Art and Bergen Academy of Art and Design, where Anderssen currently works as a professor. 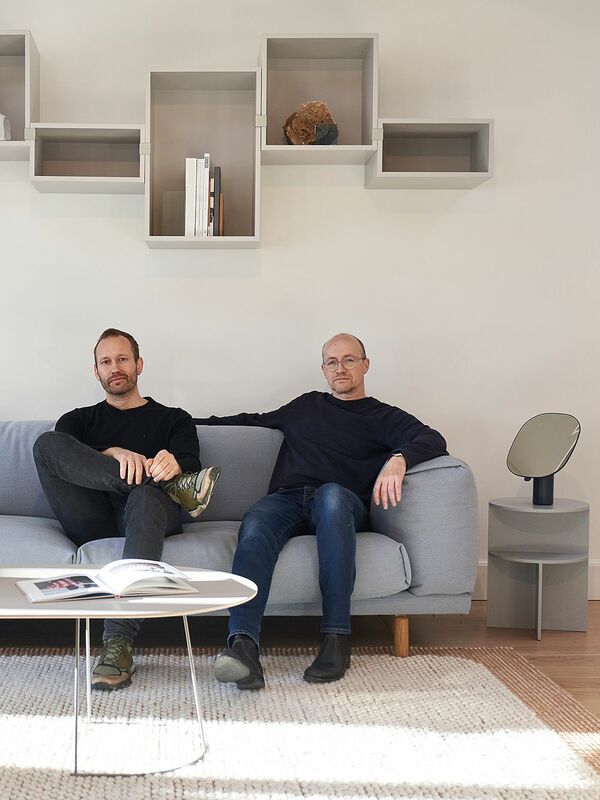 • Co-founders of Norway Says, a design group founded in 2000. • Designed furniture, lighting, textiles and other products for brands such as Muuto, Menu, &Tradition, New Works and Nedre Foss. 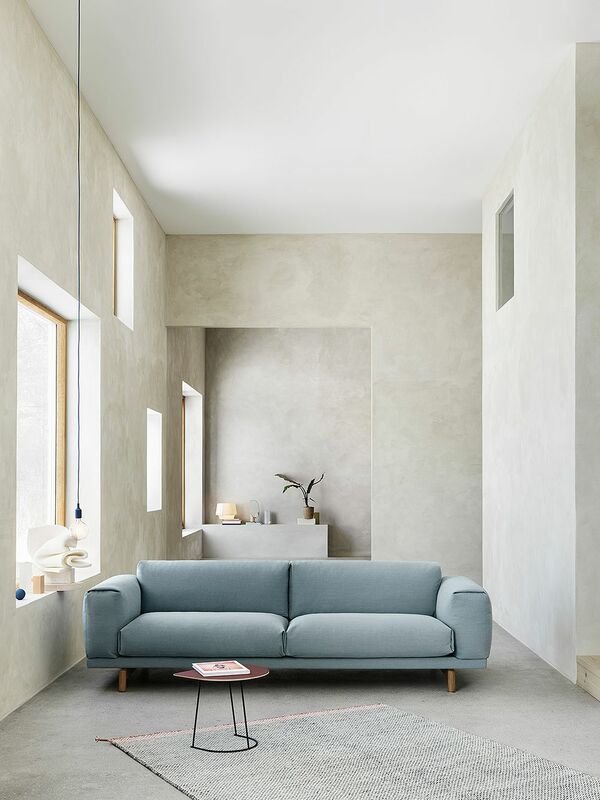 • Designed five sofa collections for Muuto: Connect, Compose, Oslo, Outline and Rest. • Winners of several design awards including Wallpaper* Award, Red Dot Award, iF Design Award and DOGA Award.